A key member of the team is head baker, Robert Agren, who hails from Sweden. Formerly a chef and originally coming to the UK to study graphic design in central London, he was soon tempted back into the kitchen. It was while working his way up through the kitchen ranks to become a chef that he discovered the wonders of Real Bread baking from a fellow chef who knew how to work with wet doughs to produce satisfying sourdoughs and ciabatte. When not at work, he carried on experimenting with sourdough at home, supplying a local supper club. 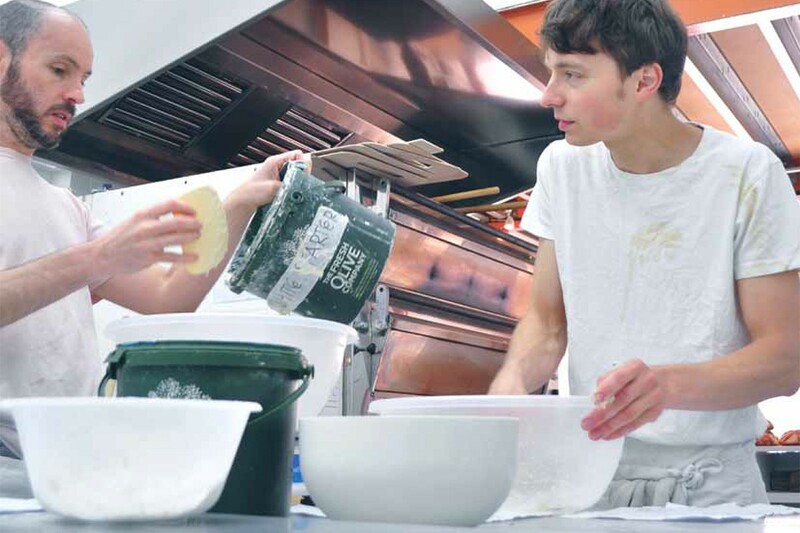 He also started volunteering two days a week at the aforementioned E5 Bakehouse, which eventually led to a job there.